Marc Webb of “(500) Days of Summer” fame did a wonderful job in recalibrating the popular franchise to a younger audience. It felt like it’s targeting the “Twilight” market and it worked massively in that angle. 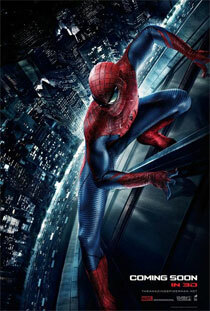 As a popcorn superhero film, it was average for me. I appreciate it when a protagonist endowed with superpowers doesn’t seem invincible, exposing his soft spot that can only be mended and protected with the help of other people. Andrew Garfield is perfect as Peter Parker physically but a toned down script would help him avoid falling in the trap of exerting too much especially in those scenes that require melodrama. Emma Stone just complements her partner’s presence. Their chemistry is definitely one of the guilty pleasures that the film has concocted. Friends who might appreciate it: Easy to recommend to anybody. I remember liking Dark Knight and Inception because it’s too serious for its drive regardless if the audience was too receptive of it or not. 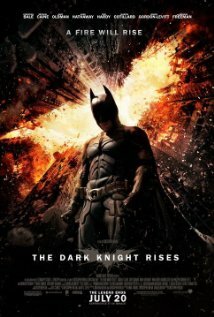 This latest film from Christopher Nolan tried to soften a bit, bordering to some cheesy storylines and double dead take on human heroism. Set pieces remained sleek though. The chase scenes were enjoyable and the CGI was just flawlessly executed. Tom Hardy did a terrific job as Bane. He’s physically menacing even with his mask on. Hopefully it lives up to its promise as brought up in the epilogue. Friends who might appreciate it: Those who blindedly think that Christopher Nolan is a god. Created in the same campy mold as Chito Roño’s other horror “Feng Shui”, the film gambled on giving Vilma Santos a project that was expected to earn money and provide cheap thrills. I am not sure about the box office returns but it did provide some scares when I saw it. Plot is about a neighborhood who is embroiled in a karma-like situation. The neighbors are having a second lease on life with their own set of illnesses after a life insurance agent’s dad was attended to by a faith healer named Elsa (who happens to be the name of Nora Aunor’s character in the masterpiece “Himala”). It may be low in coming up with a compact and weighty story to connect with but at least it gave its main chunk of meat a good production value and execution. The one involving a Chinese temple is my favorite. I also have to note that Jerrold Tarog did a wonderful job in the editing department. The ending, for instance, did not linger much on the drama and the realizations. 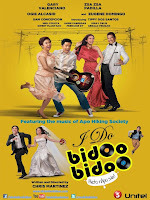 Star Cinema also released two versions of the film. One is R18 which contains more gore and the other, to reach to a wider audience (read: more money), R13. Friends who might appreciate it: Vilmanians, no less. I only saw the first “Step Up” and made it a point to skip its sequels. This time, the installment featured some flash mobs which got me curious. Dances were used as a way to resolve the flimsy conflict on oppression in a Miami neighborhood and, as expected, the good won over evil. There’s nothing much to root for but I enjoyed the sleek dance numbers. Lead stars Ryan Guzman and Kathryn McCormick are both cool with their roles but that’s about it. Friends who might appreciate it: Followers of the series. The first thing that the franchise got succeeded at was the transition it did from Matt Damon’s original character to Jeremy Renner’s. Tony Gilroy effortlessly closed an old book and opened a new one, brimming with equally plausible characters and engaging action sequences. The extended chase scene alone in Metro Manila is worth the ticket. Then there’s the ever reliable Rachel Weisz and the Filipino cast whose main requierement for me was not to distract. The epilogue was suggesting that a sequel is already under negotiation. There’s this fleeting observation that it was abruptly cut but I liked it as it is. Friends who might appreciate it: Those who participated in the 3-month shoot in Pasay, Binondo, etc. It’s been a while since I’ve seen a subversive feminist film. Surprisingly, it’s an animated movie and it’s from Pixar. Let me count the ways. First, it’s a princess movie that doesn’t have a prince charming. Secondly, it’s actually a mother and daughter film and this one’s highlighted with all the male characters that were portrayed as exaggeratedly barbaric. Not to be too biased, the witch was also a woman. Thirdly, the part that turned the mother into a bear was telling something about what’s internal or what’s within regardless of the external appearance. For me, that alone boasted of gender sensitivity and equality. Fourthly, one pivotal task that the female protagonists needed to accomplish involves sewing which is, by custom, attributed as something girly. Lastly, the Stonehenge type structure signifies traditions or beliefs that stood there since time immemorial only to be destroyed by a woman empowered by her newfound strength and love for her family. 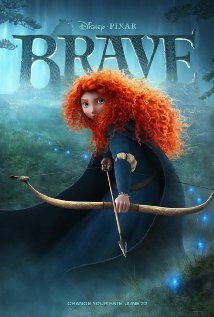 I can say that this one’s the most memorable and satisfying Pixar films I’ve seen. Hopefully, it would inspire more children to find their own voice and willpower regardless of their sexuality. Friends who might appreciate it: Everyone. 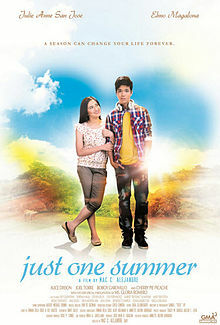 It’s made of stuff that I wish to see from Star Cinema. It remains empty but it is more risky compared to their other so-called blockbuster comedies. 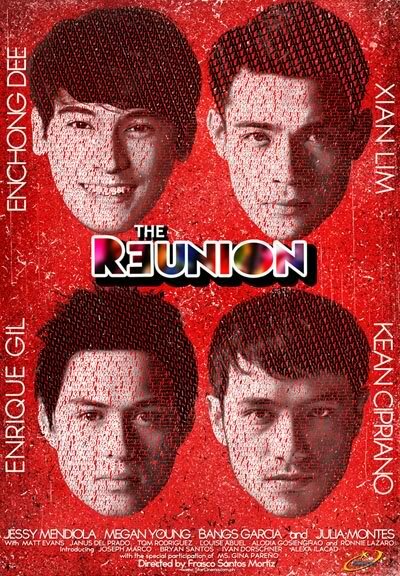 I won't recommend it because of the association with Eraserheads but at least it gave me an illusion that perfect barkadas do not disband. Kinda teary eyed when “Minsan” was played in a scene when things started to go wrong. The song was prophetic enough for me about the band's break-up when I first heard it. For anything tribute-y, I like the Lynch Hotel part the best. Automatic minus points though for the obligatory chase scene. I can say that Frasco Mortiz is a director to watch out for. Friends who might appreciate it: At the very least, those who haven’t heard any Eraserheads song yet. It’s made of stuff that I hate from Star Cinema. It so happened that at least it got the message across. Definitive Mac C. Alejandre film: shampoo commercial cinematography, crane shots straight from a Sunday musical variety show and the locations, all postcard-friendly. Elmo has the presence but it was Julie Anne who has the acting chops (she's a promising singer after all). As I see it, the film was produced basically for the fans (which I am not) and to earn money (on this one, I am sure, I contributed). I just feel sad for Joel Torre. 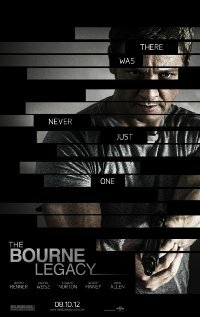 We almost didn't notice him in The Bourne Legacy and now he's hit in the face by a tweenstar. Nevertheless, he shines in all his scenes, be it melodramatic or not. Friends who might appreciate it: Worth repeating, Julie – Elmo fans. The Doppelganger phenomenon is once again explored in this horror film, just a few weeks after “The Healing” was shown. It’s well thought of and at least, the “double walker” here managed to make love with the one of the male characters. It worked effectively with the quiet moments but very underwhelming with the big ones (death scenes, revelations, etc.). Also, multiple POVs could be effective if it has an anchor that pulls everything together. Good to see new names though on the technicals and some are commendable: photography, production design and musical score. The cast is actually notable, from Lovi Poe to Gina Alajar then Julia Clarete and the newcomer Benjamin Alves. Friends who might appreciate it: I couldn’t imagine anyone. Performances from Tommy Lee Jones and Meryl Streep are engaging from start to finish even if the characters are not relatable from my perspective. It’s about an old couple who’s undergoing a marital problem. They ended up seeking the help of a psychologist played by Steve Carell. It’s a simple premise set in a small town. Director David Frankel (“The Devil Wears Prada”, “Marley & Me”, etc.) made it a point to downplay the execution and it worked. I liked it being talky and oftentimes stagey but it remains a Hollywood template for me. Friends who might appreciate it: Probably those couples who are in the same boat. I’ve seen this as part of the 6th International Silent Film Festival. It was the only entry I have seen and I am sure that I missed a lot. 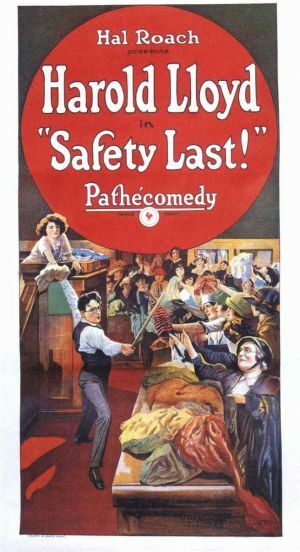 Radioactive Sago Project provided the live musical score to this 1923 film starring Harold Lloyd as a man who pretended to be making it big in the city just to please his soon-to-be wife. The film, by the way, is best known as having a scene with a man hanging on a giant clock. Live performance aside, it remains a thrilling experience especially for an acrophobic like me. The film reminds me about what a documentary should primary fulfill: to document. 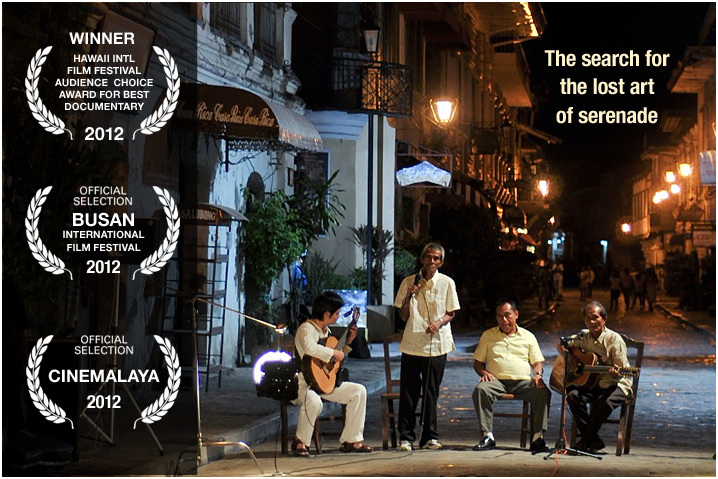 On the outer layer, it's about archiving the lost Kundimans through some haranistas gathered from Cavite and Ilocos. With that, audience is then hit on lack of sense of history as some harana pieces are no longer accounted and credited for. Along the way, the documentary shifts to another tune. It becomes a tale of mucisians on the road trying to accomplish a lot of things including helping out a guy court a girl and educating the young ones with what's lost and found again. For the road trip part alone, some raw emotions are captured which highlighted the whole film viewing experience. Friends who might appreciate it: Every Filipino. A mixed bag for me: OK script for a simple premise, hit-and-miss song numbers, good choreography and a punchline in the last scene that betrays the film being a salute to OPM. If there's one performer who I think is really up for the triple dare of dancing, singing and acting, it has to be Sam Concepcion. His participation in the film just upped the ante and it would be very difficult not co compare him with the other cast members. The funniest part for me was the scene with Eugene Domingo and Ogie Alcasid singing “’Di Na Natuto” though it was also the most off key sounding among the songs (at least for a non-singer like me). But I have to note that the most interesting cameo came from John Lapus who appeared as a drunken videoke bar host. I am not sure if he was really drunk during the shoot but his short display of emotions highlighted a particular subplot. 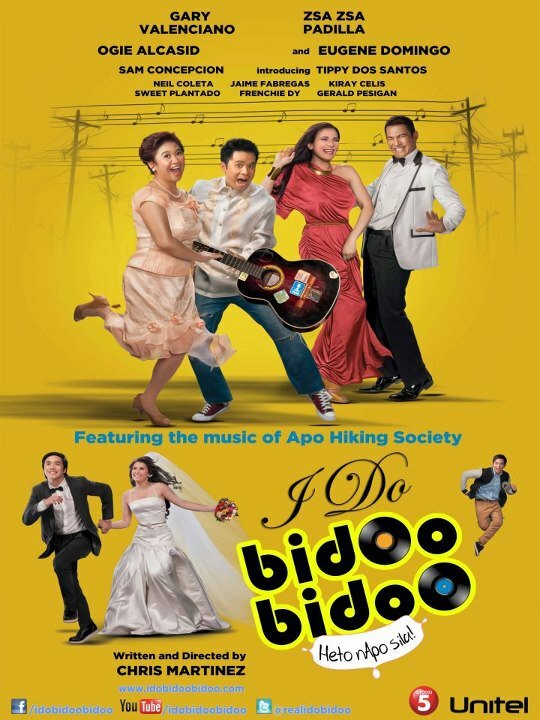 Apo Hiking Society compositions are made more beautiful by the musical. The song in every scene came naturally and just appropriate. Hopefully they allot one screening a day where people can sing along. Friends who might appreciate it: OPM lovers (and haters). Based on the crowd's reaction, this template horror film worked in most scenes. I liked it being fast paced and the performances from the three leads especially from Angel Aquino are earnest enough. Though the Toppel Lee’s vision is loud and clear, I don't find anything new. Friends who might appreciate it: Angel Aquino fans. 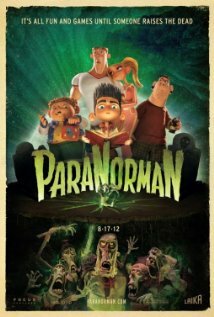 Impressive animation but premise-wise, it's your usual Hollywood fare. I'm not sure if kids would appreciate this film that discusses third eye and the afterlife but it's entertaining nonetheless. The finale was a bit stretched and I didn’t get any redeeming values from it. Friends who might appreciate it: Adults for sure.